The three areas that your key marketing, sales, and product people need to be knowledgeable and proficient in. Why it's more important than ever to have a solid, fact-based understanding of your prospects and competitors. How attempting to “fix” pricing issues by focusing on the price-points themselves can be detrimental to profitability. 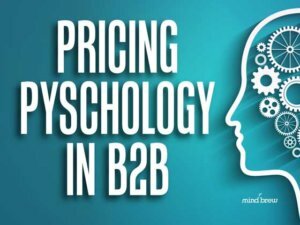 The one skill the best pricing professionals possess that is easy to overlook and ignore...but possible to learn. In this interview with Chris Provines, author of "Selling to Procurement", get an inside look at the goals and tactics of the purchasing people who are working so hard to get your salespeople to give up margin. Based on an in-depth PricingPulse research study, this briefing exposes the critical differences between the companies who are currently using pricing technology, and those who are not.